Below are some of the tools and programs that I love and use in my business! Disclosure: Please note that some of the links below are affiliate links, and at no additional cost to you, I will earn a commission if you decide to make a purchase. All of the products below are things that I have used, or currently use in my business. I use G Suite Basic for my business to stay organized and have my domain’s email address. 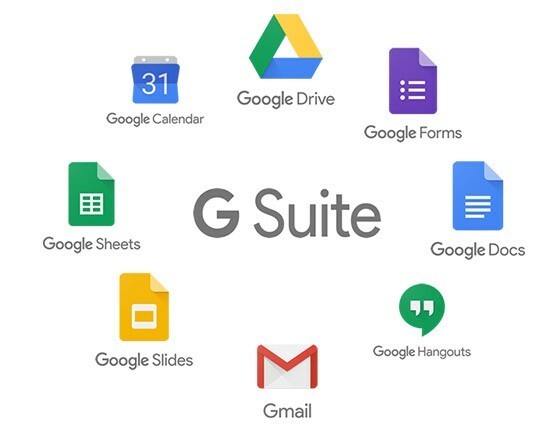 G Suite Basic offers everything a business could possibly need. Use code: HCUHN69FXCRXA4C to get 20% off your first year of G Suite Basic service. If the code does not work, feel free to email me at caitlyn[@]caitlynallen[dot]com. I use Dubsado as my CRM and if you are a creative, you should too! If you use this link, you can get 20% off your first month of purchase! One thing I have to use daily is a planner. I have to physically hand write something, or I will definitely forget to do it. Plus, my love of checking off lists may be more of an obsession. Check out the The Bulletproof Business Planner, here. I use StockUnlimited for clients that I cannot seem to find images for on other stock subscription websites. Check out the StockUnlimited membership, here! I use Tailwind to publish Pinterest posts and I also use it with all of my clients as well. Click here, to get a free month of Tailwind Plus! Are you looking for the perfect stock images to add to your social media AND to use for client work. I have the solution for you, well no, Alicia of Pixistock has the solution for you! Check out the Pixistock membership, here.